The name might not be as familiar as Trump when it comes to development in New York City, especially these days, but Zeckendorf is a moniker that has played a pivotal role in shaping the city’s skyline. First there was the larger-than-life William Zeckendorf senior, who among other things, assembled the land on which the United Nations rose in the late 1940’s. Then there was his much more understated son William Zeckendorf Junior who built several projects, including Worldwide Plaza in Manhattan. His sons have since carried on the family tradition. 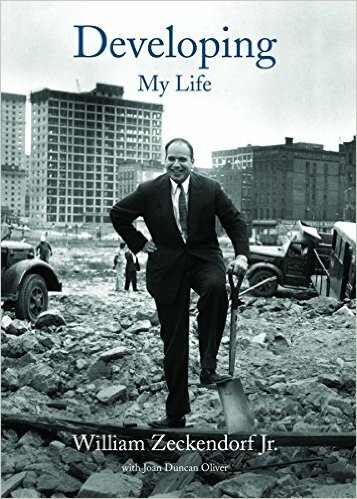 Late in his life William Zeckendorf Junior penned a memoir. But, he died in 2014 before it was published. That’s where his wife Nancy comes in. She made it her mission to see her husband’s story told. Nancy has quite the story of her own. She’s a former principal dancer for the Metropolitan Opera Ballet. These days Nancy spends most of her time in Santa Fe, where she and Bill retired. But, she still has a home in New York City. Cityscape host George Bodarky recently caught up with her there for a chat.